UBIFRANCE (the French Trade Commission) contacted us to design print media for a couple upcoming events. 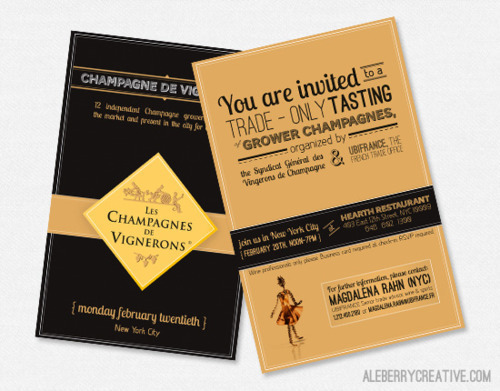 Les Champagnes de Vignerons hosts trade-only events for buyers across the United States. Our not-so-secret love for all things French & wine made this a perfect project for us. We were able to have some fun with typography on this flyer. UBIFRANCE have been a great client, allowing us some creative freedom.